We take pride in delivering world-class service to all of our students. Read what some of our satisfied students have said about us! So, you need to learn Spanish in a TOP SCHOOL with life and purpose completely different to all! please continue visiting our website to learn more about our program. If you have any questions, then please email us. I heard about Guatemalensis Spanish School through a fellow traveller and found it more than lived up to its excellent reputation. The teachers and administrators are all incredibly friendly and I found the atmosphere welcoming and relaxed. My teacher was extremely good, better than any Spanish teachers I had had previously, and I felt I learnt a great deal in just a week. The school arranged a family for me to stay with who turned out to be one of the best families in Guatemala, constantly happy and laughing, it was a great place to stay, especially as I had the priviledge of being there over Christmas. I'll never forget that party!. The highlight of the week was taking part in one of the school's projects. We visited a local village and held a christmas party for families who live in poverty. It was a great way to spend an afternoon and you could tell what a difference Guatemalensis Spanish School makes to the lives of those less fortunate. I honestly cannot find fault with this place, and recommend it highly to anyone interested in learning spanish and experiencing Guatemalan life at its best.Kieran Ball, London, U.K.
Guatemalensis Spanish School is a great place to be not only to learn the Spanish language, but to be in good company as well. I came into the school with a basic knowledge of the language, solely the present tense, and I am leaving after 9 days with a comfortable grasp ot the preterite and imperfect past tenses, future, nouns, pronouns, prepositions, and much more. The one-on-one teacher student set up is ideal for learning at the pace you want, asking questions when needed, and creating a wonderful relationship. My time at Guatemalensis has been invaluable because of the Spanish I have learned, the comfort zone harnessed in a foreign country, and the teachers and staff. Not to mention, the fact that it is a non-profit school that supports impoverished families helps to make Guatemalensis the place to learn Spanish in Xela. I would, and will, recommend Guatemalensis to anyone with a will to learn spanish or travel to Guatemala. Thank you for everything. Joanna Hoffman, U.S.A.
- i maestri sono professionali e qualifiicati. - Rolando e Nora (della direzione) sono persone ospitali e gentili, che possono aiutarti per ogni problema. - Le famiglie che ti ospitano si trovanoo sempre vicino alla scuola e sono persone gentili e disponibili per ogni necessita. - Nel pomeriggio vengono proposte attiviita come passeggiate o cene per parlare in spagnolo tutti insieme. - La scuola tiene diversi progetti sociaali come aiutare e sostenere i bambini poveri che vivono nella periferia della citta. La citta di Xela e tranquilla con tutti i servizi necessari. "GSS is a small, but professional language school. I studied here for four weeks and learned incredibly much about the Spanish language, the Guatemalan culture and the country. By having one-on-one classes, the teacher can cater to the individual needs and wishes of the student. And even if you don not like the style of one teacher, you can change and try out someone new without any problems. Classes are very intensive but also diversified; and you can also do things together with other students and teachers and learn Spanish as you use it. Nora and Rolando, the heads of the school, take such good care of the students. 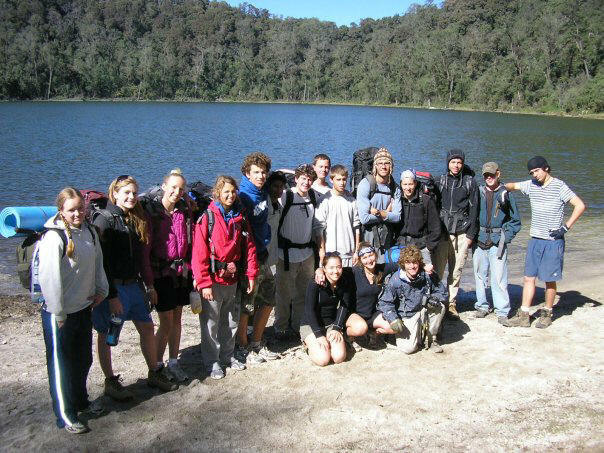 Almost every afternoon there are school activities like going to surrounding villages, or we had a Guatemalan cooking class, a barbeque on the roof of the school, week-end trips to the ocean, or to Lago Atitlán, we climbed a volcano, etc. – so you will never feel lonely, you can practice your Spanish and see a lot of Guatemala. And of course, you can express your wishes and tell them if you would like to see or do something specific. I can only recommend GSS and hope I will be able to come back one day again! Mes trois semaines ici à Xela étaient remplies d'activités. J'ai beaucoup aimé mes études à l'école de Guatemalensis. J'ai eu la chance de rencontrer beaucoup de différents gens de différentes endroits. Mon enseignant était vraiment sympa et durant les trois semaines j'ai pu apprendre beaucoup d'espagnol. Les directeurs Nora et Rolando sont très chaleureux et sont toujours prêts à prêter leur aide pour n'importe quel problème. Toutes les activités de l'après-midi étaient bien organisées. La participation d'immersion en famille m'a aidé à pratiquer l'espagnol que j'apprenais à l'école. Les gens étaient très acceuillants. C'est une très bonne école où vous pouvez apprendre l'espagnol où il y a un professeur pour un étudiant. Je la recommende à tous. 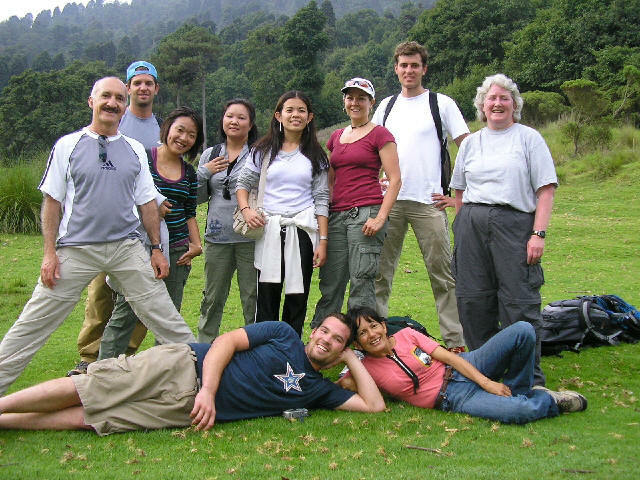 "I have been very impressed with Guatemalensis Spanish School for several reasons. I think the teachers are intelligent, care about their work and the students, and are adept at teaching Spanish. There is a good mix of playfulness and fun mixed with serious study and real learning. Christian worked well with me, even on the days when I didn't feel like learning or when I got frustrated because of a new concept, etc. He is a great teacher!. Aside from the teaching, I was also impressed by the "family" atmosphere at Guatemalensis. Nora and Rolando care very much about their school and their students, and it shows I never felt like just another student passing through. The directors and the teachers are wonderful about helping with even the little things, like calling hotels for reservations, and also about tailoring teaching methods or activities to meet various students' specific needs. Lastly, the activities were great and varied, and the costs very fair. I heard students from other schools saying they had to pay much more for the same things I was able to do for less at Guatemalensis. Overall, I would and will highly recommend this school!!!" Brooke Weberling. U.S.A.
Nach 4 Wochen Sprachkurs in der Schule "Guatemalensis Spanish School" in Xela (Quetzaltenango) kann ich diese Schule nur waermstens empfehlen. Alle fuer einen Sprachkurs wichtigen Aspekte wurden hervorragend erfuellt: Kompetente Lehrer, Freizeitaktivitaeten sehr abwechslungsreich und den Wuenschen der Schueler entsprechend, Familienunterbringung sehr gut. Und das Preis-Leistungsverhaeltnis stimmt auch- im Vergleich guenstig. Ausserdem kann man an dem Sozialprojekt der Schule einmal die Woche aktiv partizipieren. Im Gegensatz zu einigen anderen Schulen ist dieses dadurch fuer die Schueler transparenter und man kann erkennen, dass die Schule klar das Ziel verfolgt anderen Menschen zu helfen - sowohl den Schuelern beim Spanischlernen als auch einheimischen Benachteiligten. In 4 1/2 weeks I have found the school, and all of its auxiliaries such as family, excursions, to be more than I had hoped for. The attitude of openness friendship and shary was present immediately upon my arrival and has only increased over time. The school is very well organized, and I am fully satisfied that I was placed with an appropiate teacher, studied at the appropiate level, and received both the grammar and the conversational ability that I need. I found my tutor to be excellent, she clearly is a gifted teacher and enjoys what she does. Additionally I feel sure that other tutors are equally talented and contribute to the overall atmosphere of the school. The network of host families is equally impresive and I was very happy with my family. Additionally, I want to say that the directors, the tutors, and the family support me and offered assistance whenever and for whatever reason I needed it. There is a combination of scholarship and a friendly atmosphere that together create a wonderful and vibrant environment in which it is possible to learn quickly. Karin Burke, U.S.A.
With Guatemalensis I made a perfect choice. I learned Spanish very quickly with a very well qualified teacher and in the meantime I leaned a lot about the life and culture of Guatemala, since I lived with a family here in Xela. I enjoyed every minute in school and had lots of fun learning Spanish. All the activities have been wonderful too. The fact that it is a non-profit school and that I could support, with the money I payed to the school, a social project with children made me very happy. When ever we went to see the kids and families I had a wonderful time with them, but also could see how much help is needed there. My family here in Xela was just about like my family back home, I felt very much like home here. They have been wonderful, we spoke and laughed a lot every day and I could experience how tasty the guatemalan food is, since my Guatemala mum is a great cook. With the children of the family I could practice a lot of Spanish, which has been great. From the bottom of my heart a big THANK YOU for everything it has been a wonderful and unforgetable experience! Mit Guatemalensis habe ich eine perfekte Wahl getroffen. Ich lernte Spanisch sehr schnell mit einer sehr gut qualifizierten Lehrerin und gleichzeitig lernte ich viel ueber das Leben und die Kultur von Guatemala, weil ich mit einer Familie hier in Xela gelebt habe. Ich habe habe jede Minute in der Schule genossen und hatte viel Spass beim Spanisch lernen. Auch die diversen Aktivitaeten waren wunderschoen und interessant. Die Tatsache, dass es eine non-profit Schule ist und dass ich, mit dem an die Schule bezahlten Geld, ein soziales Projekt mit Kindern unterstuetzen konnte, machte mich sehr gluecklich. Jedesmal wenn wir die Kinder und Familien besucht haben, hatte ich eine wunderschoene Zeit, aber gleichzeitig wurde mir auch bewusst wie viel Hilfe sie noetig haben. Meine Familie hier in Xela war fast wie meine Familie zu Hause, ich fuehlte mich wie zu Hause hier. Sie waren alle sehr lieb, wir sprachen und lachten jeden Tag und ich konnte erfahren wie gut das guatemala Essen ist, da meine Guatemala Mutter ein super Koch ist. Mit den Kindern der Familie habe ich viel Spanisch geuebt, was super war. Aus tiefem Herzen ein grosses DANKESCHOEN fuer alles, es war eine wunderschoene und unvergessliche Erfahrung! Mit Guatemalensis hani ae perfekti Wahl troffe. Ig ha uh schnaeu Spanisch glert mit aere sehr guet qualifizierte Lehrerin u glichzitig hani viu ueber ds Laebe u Kultur vo Guatemala glert, wueu ig mit aere Familie hie in Xela ha glaebt. Ig ha jedi Minute ir Schuel gnosse u aes het uh gfaegt Spanisch z'lere. O die diverse Usflueg u Aktivitaet si schoen u interessant gsi. Tatsach, dass aes ae non-profit Schuel isch u ig, mit em izahlte Geld fuer d'Schuel, aes sozials Projekt mit Chind ha choenne unterstuetze het mi uh gluecklich gmacht. Jedesmau we mir d'Chind u d'Familie bsuecht hei hani ae uh schoeni Zit gha, ha aber glichzitig o gseh, wie viu Hilf si bruche doert. Mini Familie hie in Xela isch bau wie mini Familie dehei gsi, ig hami wie dehei gfuehlt. Si si extrem lieb gsi, mir hei jede Tag viu gret u glachet u ig ha choene erfahre wie guet ds guatemala Esse isch, wueu mini Guatemala-Muetter ae super Choch isch. Mit de Chind vor Familie hani viu Spanisch guebt, was super isch gsi. Us tiefen Haerze aes grosses MERCI fuer alles, aes isch ae wunderschoeni u unvergesslichi Erfahrig gsi. Sonja Eigenmann, Switzerland. In a beautiful country with great people, I had the great opportunity to learn Spanish. Not only was I able to study in a great school, but I had the chance to live with and become a new member of a pre-existing family. The owners of the school, Rolando and Nora, have a great countenance about them. They honestly care for the students, their teachers, and not to mention the poor children they help provide for and educate. They have given me a gift of knowledge and experience. Apart from the schooling, I was able to see an active volcano, swim in one of the most beautiful lakes in the world, take a merengue lesson, and help provide for and educate those poor children! I also made many new friends and as I stated before, became a new part of a family. Guatemalensis is a wonderful Spanish School. Even before I left for Guatemala I was particularly excited about one on one learning and their social project. Guatemala is ravaged by poverty and it is touching to see a school and group of people that work together to make a better life for poor families. Concerning the school itself I was extremely impressed. I couldn't have asked for a better teacher or group of people. They were warm, exciting, and greeted me with open arms. My teacher taught me Spanish while using my interests in human rights and women's rights as a teaching mechanism. I learned so much more than Spanish. Adjusting to a different culture and country can be really difficult. I was blessed with an amazing host family. I would go home when I was sad and they would make me laugh, hug me, care for me when I was sick. They gave me so much more than 3 meals a day and a private room. I was really a member of the family. I started studying here on April 25, 2005. I was interested in learning some of the basic rules to be able to talk the Spanish language. I really liked the quick start. We got right down to studying vocabulary and then moved right into the verbs. There were also many other rules that we studied along the way too. My studying here has helped me greatly in understanding and speaking Spanish. The atmosphere was good. I enjoyed the activities that we did and some of them helped me to see the Spanish culture better. The way the school here is set up it makes it easier to learn the language if someone really wants to learn. Also one thing about the activities, they helped to give a diversion. Learning a language is always a challenge and I enjoyed it. Thanks for the help that this school has provided in my studies. Wilmer Lee Mast. U.S.A.
Could Guatemalensis be right for you? 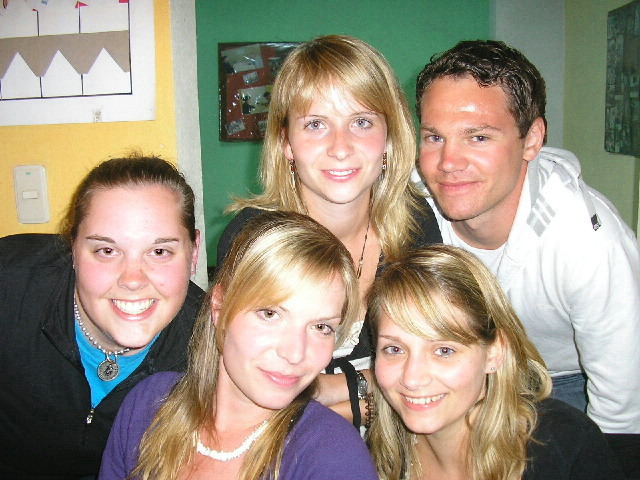 I spent two months at Guatemalensis Spanish School (GSS) in Xela studying the Spanish language. I worked one-on-one with my fantastic teacher, five hours a day, five days a week. During these lessons, he taught me new concepts then we practiced and practiced. It was only a matter of days before I was engaging in lengthy discussions with him and the other instructors. Often we would go for a walk, visiting markets, the downtown park, or many other points of interest. Not only did I learn grammar, vocabulary, and sentence structure, but I also learned about the Guatemalan culture, customs, and special celebrations. In just eight weeks, I gained so much. GSS offers much more than just Spanish instruction. I met several students from a variety of countries and continue to stay in contact with them today. I also took part in weekly activities, including sports, parties, dance lessons, trips to hot springs, markets, and even climbed a volcano. Every day was truly an unforgettable experience. After completion of my studies at GSS, I returned to Mexico where I continue to live and operate a medical clinic. I rely on my Spanish all day, every day to do my work. I am thankful for my opportunity to study at GSS; it gave me a strong foundation of Spanish to build on every day. Don't wait, sign up today for your own unforgettable experience at Guatemalensis Spanish School. Guatemalensis is a small school located near the old town center. The directors and the teachers are friendly and professional. Because of its size, and the dedication of the staff, all the activities are coordinated to suit the students needs and capabilities. The home stays are very close to the school with friendly people and reasonable accomodation. The food though basic consists of many traditional local dishes prepared with fresh local ingredients. I have visited 4 other spanish schools in the last few years and this was the best all round bargain for me. John Elmore, Canada. Je voudrais profiter de l’occasion qui m’est offerte pour vous remercier chaleureusement pour l’accueil que j’ai reçu dans votre organisation. Tout d abord, j’ai découvert l’existence de votre institution par le biais de votre site Internet et ce, à l’automne 2004. J’ai beaucoup apprécié la correspondance que nous avons eue, à travers les courriels que nous nous sommes transmis, car vous avez su répondre rapidement à toutes mes questions de façon très claire et avec une rigueur peu commune. En ce qui concerne l’accessibilité du site, votre encadrement m’a permis d’atteindre la municipalité et ensuite votre école, via la Capitale du Guatemala, sans aucune difficulté. D’autre part, le volet académique, la formule « one on one », s’est avéré pour moi un succès. En effet, il est agréable de sentir la progression rapide de l’apprentissage que procure cette méthode. Côté hébergement, le mois passé avec ma famille d’accueil a été des plus chaleureux. Certes loin du confort des grands hôtels, j’ai pu apprécier le mode de vie traditionnel des habitants du Guatemala qui m’ont fait connaître la cuisine typique du pays ainsi que la culture locale. Difficile de passer sous silence votre implication dans les projets sociaux. Par exemple, vous et votre épouse m’avez épaté par votre implication pour la survie des familles défavorisées de votre quartier et je trouve extraordinaire que vous puissiez remettre tous les maigres profits que génère votre entreprise à des familles locales. Aussi, je vais conserver d’inoubliables souvenirs de la fête de Noël que nous avons organisée ensemble pour ces familles, tout comme cette autre fois où nous nous sommes rendus enseigner quelques notions de mathématiques aux enfants démunis, qui n’ont pas accès à l’école, donc aux enseignements de base. Du coup, je vous remercie aussi de votre implication personnelle qui a pour but de donner la chance à vos « élèves » de visiter certains sites touristiques de la région, tels que le volcan « Santa Maria » et autres endroits aussi impressionnants les uns que les autres. Enfin, mille mercis et, encore un fois, félicitations pour votre beau travail. Soyez assuré que je n’hésiterai pas un instant à recommander votre institution à quiconque serait intéressé par une aventure aussi extraordinaire que celle je viens de vivre. I can only recommend Guatemalensis Spanish School for anyone wanting to learn Spanish and experience Central America, not only for its excellent teaching methods and school infrastructure, but also for the almost daily occurring activities and excursions, the city and its surroundings as well as the friendly host families! In only three weeks that I was able to attend the school, I learned an enormous amount of Spanish, and was able to implement it at school, with my host family and in my daily life and activities in Guatemala. For anyone that wants to learn as much Spanish as possible, and at the same time see and experience Guatemala and its culture, Guatemalensis is an excellent choice. I have studied at Guatemalensis twice. Both times, the school offered an ideal setting for learning Spanish and knowledgeable teachers willing to design classes to fit my needs. The host family provided additional help and great food. David Emery, U.S.A. The typical course of study that students do is to have a personal instructor, and study 5 hours a day, 5 days a week. They also usually live with a family in the neighborhood. This was what I did and it was a wonderful combination of learning Spanish formally during the day and then practicing it at home. However, the school is very flexible and you can basically dictate your preferred study hours and topics. Be sure to specify your interest in international law and relations in the application you fill out, so that Nora and Rolando (the school's directors) can match you with a teacher who knows about your field. Concerning the school activities, there is one most days of the week, and there's a great variety. Off hand, I remember going to Laguna Chicabal (a volcanic, sacred Mayan lake), Santa Maria (the Volcano that looms over Xela), the beach on the Pacific coast at Champerico, local towns with interesting history and cultural sites, such as Zunil, Salcaja, and San Francisco, etc. Local activities are in the afternoon, and longer ones are on Saturdays mostly. Also, once or twice a week the school visits a little group of residents of a poor neighborhood in Xela, with sacks of food, and everyone plays with the kids and helps them with their homework. The school sponsors the education of a bunch of the children from the 5 families that make-up the group. Also, any sort of health or educational seminar you would like to put together for the parents, the mothers alone, or the children is greatly welcomed. For example, I did a little workshop with another student about basic cleaning and self-hygiene practices, and it was really successful and fun. Of course, there is also no obligation for any of the activities. So, there's lots of stuff to keep you busy at the school, but Xela is also fun to go out in, and you can find countless ways to get involved in basically any type of NGO or social project you can imagine. If you'd like to do some additional volunteering while there. I stayed for 7 weeks in Xela and studied Spanish in the School Guatemalensis. When I started my only known words had been: "vamos a la playa" y "gracias". So not that much. But the nice and familiarly atmosphere at the school and my family made me learn very quickly. Although the activities in the afternoons had been very interesting and showed a good mix of cultural, social and funny sides of Xela and Guatemala. The school had been very flexible with my wishes for having times changed or making a break in between. Every time I had questions or problems somebody had been there for talking with and help my out. My family I stayed with is now deep connected in my heart. Now I am travelling on my own and I can express everything I want to say in Spanish, and it helps me a lot. Thank you for everything and I will come back!! !